Confession time: I spend a lot of time browsing the Anthropologie website, clicking around and sighing over the clothes, then sighing even more at the astronomical prices. However, vintage-inspired apparel and accessories with whimsical, pretty detailing need not cost an arm and a leg! 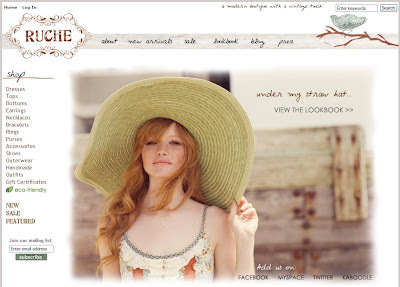 I recently received an email from Mai Olivo, the owner of online boutique RUCHE, inviting me to check out her website. According to Mai, "RUCHE is a modern women's boutique with a vintage touch. We try to find items that are new, in-style, trendy, yet still inspired by a vintage look. We handpick each product to give you the perfect selection of clothing, accessories and more. When you visit shopruche.com, we want you to enter a feeling of comfort and nostalgia. We can only hope that you enjoy your visit every time." Chicas on a budget, take note: Most of the pieces I saw on RUCHE were less than $50 and shipping to Canada is under $10. RUCHE also stocks eco-friendly and handmade finds. And if you're like me and love to window-shop Anthropologie's website, well, there's no shortage of feminine eye candy here. 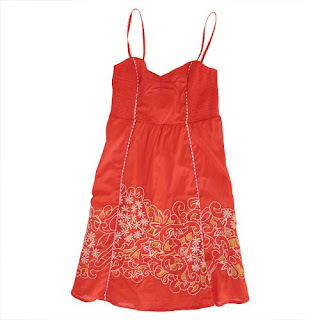 Parfumee coral daisy sundress ($49.99). I love how this frock is so unabashedly feminine with its floral embroidery and cutout details. The silhouette is classic but the coral is perfectly on-trend this season. Perfect with everything boatneck top ($36.99). This is one top that certainly lives up to its name. 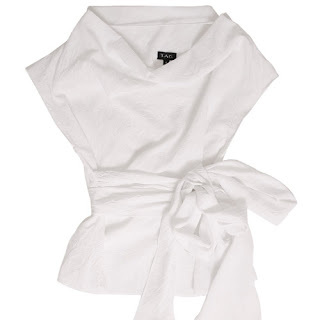 Its crisp whiteness and clean lines make it the perfect complement for skinny jeans, denim skirts, leggings, or trousers. 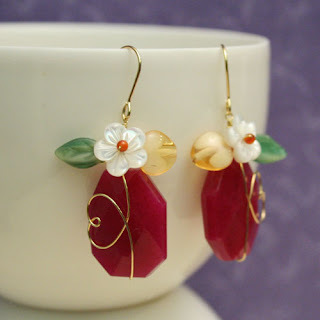 Adorn berry handmade drop earrings ($32.99). These are a nice finishing touch on summer outfits and look good enough to eat. 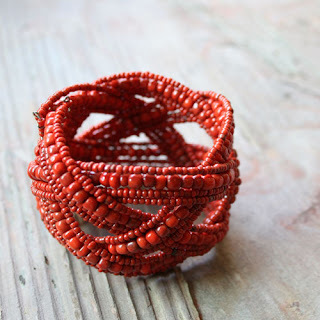 Chili pepper beaded cuff bracelet ($19.99). Ah, more coral...a bold cuff in a bright hue shows off slim wrists and sun-kissed skin in the warmer months. 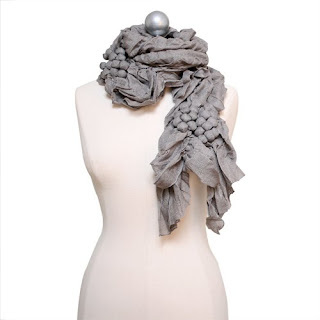 Chenin grape scarf ($22.99). It's gray! It's a lightweight summer scarf! It's shaped like bunches of grapes! It's so awesome I can't stop using exclamation points! Special offer for Solo Lisa readers! Type in the coupon code "SOLOLISA" during checkout for 10% off. Ruche is one of my favourite places to lust after things I don't have space in my closet for! That grape scarf is so darling! Thanks for the coupon code, L! The off-the-shoulder top and gray scarf are amazing! And what's even better is your new profile pic - loooooves! haha i love the grape scsrf!! never seen nething like it. I want absolutely everything you've picked out. Such sweet things. wow, cute stuff...I need that scarf in my life! Ruche does have some lovely pieces. This is where my favorite bag is from. :) love the white top!!! it is something i totally wear! i will go to the site :) mmm but it ships to Mexico, buaaa, cause unfourtunately not many shops ships here! well i will find out! oh the scarf is just divine. love it. Great picks! I have the same issue w/ Anthropologie.. i love the vintage inspire pieces but not the prices so Ruche is a great find! Yay for Ruche!! I've been meaning to buy something off there ever since I wrote a post on them too. Is it $10 flat shipping? MizzJ, shipping is $3, $5, and $7 depending on which price range your total falls into, but it doesn't go any higher than $7. I have never heard of them before, but I checked it out and OMG it's so lovely! Thanks for sharing! oh i'm about to go buy that shirt!! thanks!! Oh, that bracelet is gorgeous. I happened to be in Claire's the other day. There's a very similar one in blue that's super cheap. I love that beaded chili pepper bracelet. It's a must-have! I love coral. So summer-y!